People have big plans for purchasing house. They do everything to get good accommodation for modern living. These days numerous banks offer home loan to the buyers, they are in the form of Equated Monthly Instalments (EMI). 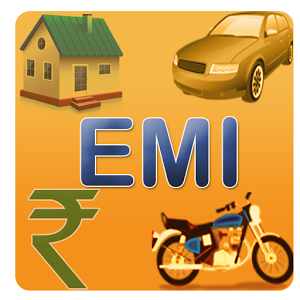 EMI assist a person to pay heavy amount without any trouble and ease their monetary burden. It also helps to get rebate in the income tax returns. Further, EMI gets early possession of the house and its great pleasure living in one’s own home. But EMI has to be paid monthly and is a big challenge for the borrower. So it is essential to explore way and means to manage home loan EMI in India. Primary factor in this regard depends on the monthly down payment and it is also important to take stock of one’s expenditure, other than EMI. If both husband and wife are working and can afford the monthly payment of EMI, they can go for it. It is important to know that banks grant loan based on the net take home pay packet of the individuals and not based one’s savings. It is advisable that person must take loan which he/she can pay back easily. It is necessary to check how much borrower can pay every month. Once they have maximum amount returning capacity, they can minimize the loan duration. Person’s EMI has more principal component in short period. It will considerably reduce the loan duration but borrower must keep his EMI constant. Long duration loan increase the EMI amount. Another point in this regard is that if home loan borrower has more earning, he/ she must to open separate accounts for paying the loan. This is essential because it is difficult to keep track of financial record of the various debits in the same account. For working couples, there will be income credits in both salary accounts. Both husband and wife can decide who will pay all utility bills and household expenses from his account and other will spent money in lifestyle expenses. When there are different accounts to manage different expenses, it becomes easier to control expenses. Working couples or single person taking the loan must plan emergency fund to pay EMIs even in hardship. This is because when home loan is borrowed, it is duty of the borrower to repay EMI in any circumstance; otherwise banks have authority to take legal action against borrower. If borrower’s monthly income is decreased then he can select the option to reduce the EMI till cash flow improves. But this strategy is not advisable as it brings down the overall term of the loan. Lastly, wise management of EMI amount can help person to live peacefully.